TekCard has partnered with some of the biggest manufacturers of POS terminals, such as Verifone, Ingenico, MagTek, and more to bring you the latest in technology. We offer a complete lineup of traditional dial-up terminals, high-speed Ethernet terminals, EMV chip and PIN-ready PIN pads and terminals. Want to keep your existing terminal? No problem. 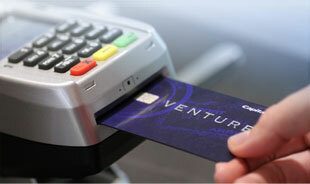 TekCard can reprogram your existing POS terminal within minutes at no cost! 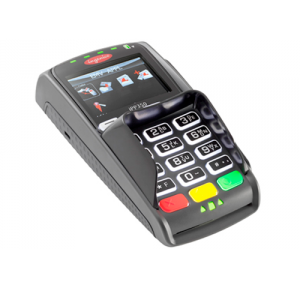 TekTouch POS system EMV/Apple Pay ready! Lightweight, stylish and self-contained, the Ingenico® iPP350 PIN pad plugs directly into a cash register for instant installation and easy integration into existing POS systems. 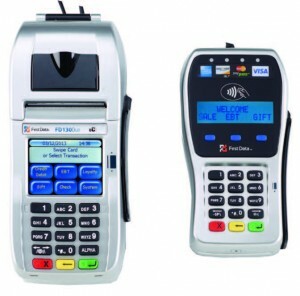 With integrated Telium 2 architecture and multitude of connectivity options, the iPP350 device accepts all existing forms of electronic payment, including contactless, EMV™, and mobile (NFC); are fully EMV and PCI PTS V2 and V3 certified. It supports the latest international security algorithms. Customer transactions are fast, private, efficient and secure. The iPP350 PIN pad features a large, backlit keypad, tamper-resistant and tamper-responsive design, plus digital end-to-end encryption technologies to help protect sensitive cardholder data throughout the entire transaction. 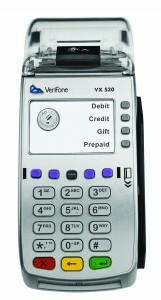 The Verifone® VX 520 countertop device supports encryption, decryption and processing through its powerful processor and expandable memory. This means faster checkout speeds that can help your client complete transactions efficiently and get customers on their way more quickly. Integrated NFC capabilities support alternative payments, as well as value-added applications such as loyalty or gift card acceptance. A full range of connectivity options, from dial and Ethernet to GPRS, with an optional battery allows the VX 520 terminal to accompany your clients wherever they need to go. A communication port area underneath the device helps keep countertops clutter free. 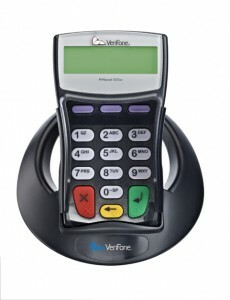 VeriFone’s PINpad 1000SE is a versatile, future-proof payment solution that combines a peripheral solution for PIN-based transactions in one handheld product. An ergonomic grip makes the device easy to hold, plus a larger display offers graphics capabilities to support multiple languages. The oversized keys help minimize entry errors and speed up the payment process. The First Data™ FD130 Duo terminal paired with the First Data FD35 PIN pad is an affordable solution that combines performance, reliability and ease of use in compact, feature-rich devices. With new security guidelines coming soon, the combined solution enables merchants to accept transactions when a customer presents them with an EMV™ card; that is, a card embedded with a special chip that adds an important layer of security. If your clients choose to connect via their existing broadband Internet service, First Data’s Datawire® Secure Transport solution provides speed and security, and may even save money over other options (optional dial backup; analog phone line required). If preferred, your clients may connect via the built-in Wi-Fi capability.